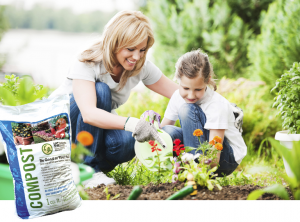 Discover the wonder of OCRRA's Pride of New York Compost and Mulch. Whether beautifying a residential landscape or ensuring the success of a large scale municipal project, using OCRRA's US Composting Council Certified Compost will make your next project flourish! Our Pride of New York Mulch also provides a professional finished look to your gardens and landscapes. Reduces the need for chemicals and pesticides, which keeps pollutants out of our water supply. By the cubic yard at our Compost Sites. By the trunk load at our Compost Sites. Gives your garden or landscape a finished look. Composting organic materials like yard waste and food scraps is a simple way to save the world a little each day!